Cars, appliances, industrial equipment and every machine that performs a task now comes with the capability of communicating to another machine. M2M, or machine-to-machine services, enable the flow of information between machines and eventually to people who will analyze the data and perform the necessary action. Combining M2M and wireless sensor technology (WST) provides solutions to different industries to provide better customer service, equipment maintenance and safety improvement. The agreement between Monnit, a wireless sensing technology company, and Numerex, a supplier of interactive M2M enterprise solutions, will advance the efficiency of interconnected machinery and data gathering capability for organizations. The goal of M2M communication is to collect data, transmit the data through a network, assess the data and respond accordingly to the data. Previously, this involved large amounts of man hour by going back and forth to different installations and performing the necessary maintenance or repair. As network, wireless and sensing technology started improving, the need to travel to perform these tasks was removed. Now the only reason to visit an installation site is to perform maintenance or repair based on data gathered by the sensors and the machines. Kaysville, Utah – September 19, 2012 – Monnit Corporation (www.monnit.com) a cutting edge provider of wireless sensing technology, today announced an agreement with Numerex Corp, a leading provider of on demand and interactive machine-to-machine (M2M) enterprise solutions. Under the partnership, Numerex will integrate Monnit’s wireless gateway application into their existing M2M gateways, allowing Numerex to expand the functionality of their customer solutions by using Monnit’s broad line of low cost wireless sensors. “Numerex is an experienced and respected leader in the M2M market and we are honored to partner with them. We feel that Numerex’s M2M platform and Monnit’s wireless sensors offering, together, address growing demand for highly reliable, cost effective, wireless sensing of valuable assets and processes for business.” said Brad Walters, CEO of Monnit Corporation. Monnit currently provides over 30 different types of wireless sensors designed to detect and monitor various functions that are critical to business, including; temperature, water, humidity, light, motion, movement, distress and more. Numerex Corp is a leading provider of interactive and on-demand machine-to-machine (M2M) technology and services, offered on a subscription basis, used in the development and support of M2M solutions for the enterprise and government markets worldwide. The Company offers Numerex DNA® that may include hardware and smart Devices, cellular and satellite Network services, and software Applications that are delivered through Numerex FAST® (Foundation Application Software Technology). In addition, business services are offered to enable the development of efficient, reliable, and secure solutions while accelerating deployment. Numerex is ISO 27001 information security-certified, highlighting the Company’s focus on M2M data security, service reliability, and round-the-clock support of its customers’ M2M solutions. For additional information, please visit www.numerex.com. ABI Research has an interesting article about how the wireless sensor network market will exceed 80 million units shipped in 2012. The wireless sensor network market, led by ZigBee, grew ten-fold from 2007 to 2010 and exceeded 45 million annual shipments in 2011. “Strong growth is expected for 2012 and beyond as ZigBee pervades the home automation and home entertainment markets, whilst Smart Meters continue to be rolled out across the globe,” commented Peter Cooney, wireless connectivity practice director. Smart metering is the largest market for ZigBee in 2012 and will continue to be the major market growth driver as global roll outs of smart meters continue apace. ZigBee/RF4CE use in the home environment will also be a major growth driver. Home automation and home entertainment together are forecast to grow to over $300 million per annum by 2017. Are you monitoring your machinery for predictive maintenance? Do you know how often your machinery is running and if it is running within its correct specifications? Deviations from specified parameters in vibration or temperature if left un-checked, can cause expensive repairs and downtime. 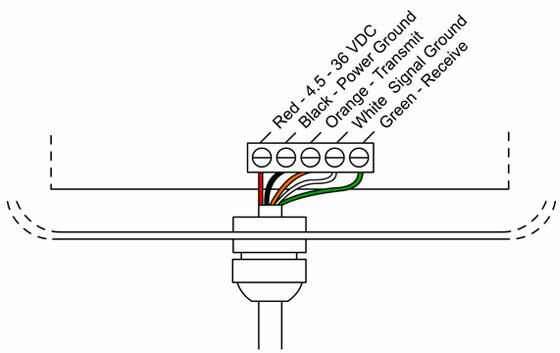 Using Monnit WIT Wireless Sensors for conditional monitoring allows maintenance to be scheduled, or other actions to be taken to avoid the consequences of failure, before the failure occurs. Monnit wireless sensor systems can help you monitor equipment to help you detect issues before they become serious and costly. 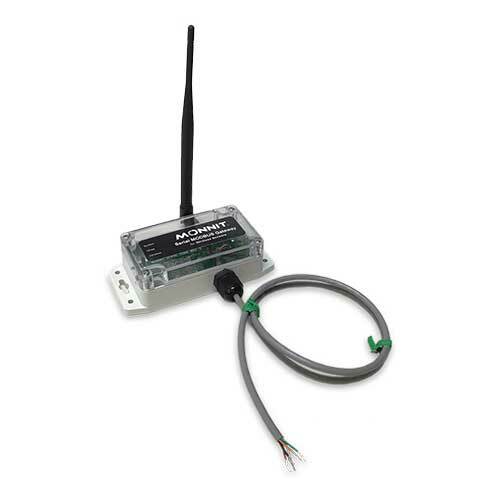 We recommend using Monnit’s affordable wireless activity timer sensors to track and monitor the operation of machinery or vehicles. We also recommend using Monnit’s wireless temperature sensors to monitor operating and room temperatures. 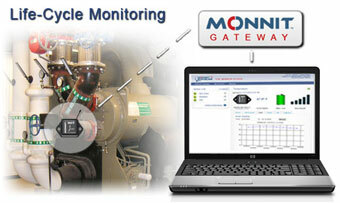 Detect issues before costly failures occur with Monnit Wireless Sensors! The following quick tips will help you get started using the new Monnit Serial MODBUS Gateway. The Monnit Serial MODBUS Gateway acts as a data concentrator for Monnit wireless sensor networks incorporating Monnit’s Access Point Node (APN) with Serial RS-232C and RS-485 Interfacing hardware. Locate the “COM Reset” prongs.